Words by Rock Chick pics by Dod Morrison. 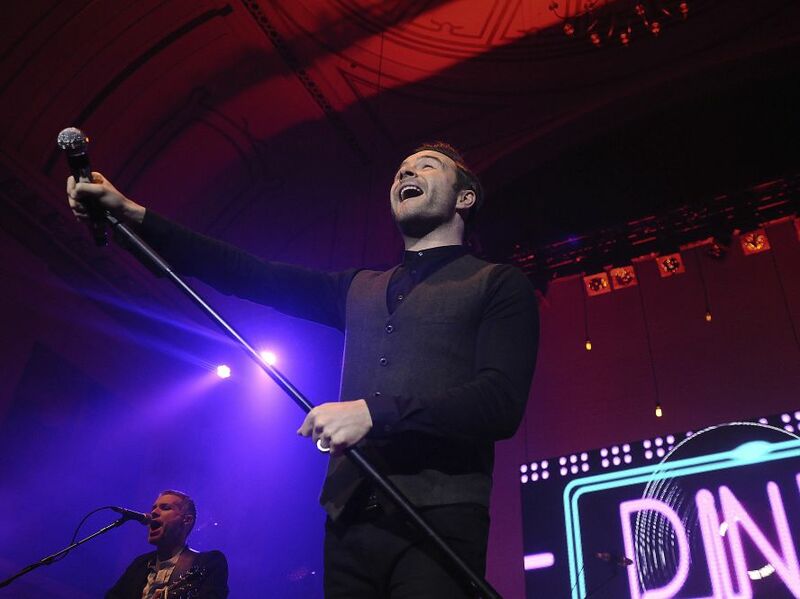 On a cold Wednesday night in October, Shane Filan came to Aberdeen Music Hall and played to a venue full of excited females. Shane first came to the attention of his loyal fans back in 1998 when the Irish band Westlife appeared on the scene. They continued to have hit after hit for many years, including 26 top ten singles – 14 of these were number ones before disbanding and going their own ways in 2012. Shane has since gone solo and is touring his current album, You and Me. He played a mixture of his new songs, interspersed with all the old Westlife hits ,including What makes a man (2000), Uptown Girl (2001), which had the whole crowd singing along, and the all-time favourite Flying Without Wings (1999), much to the delight of the crowd. Whether you like this kind of music or not , you have to admire the man, the crowd are on their feet from the moment he came on stage and continue to stand throughout. And that’s what entertainment is about, pleasing all the fans that come to see you.